Highly skilled and qualified team with specialist knowledge of composite design applied to the CompoTech process. We have a 60 strong team based at our Design and Manufacturing headquarters in Czech republic. Approximately 1/3rd of the team are Engineers working on the design and production development. Our engineers have CAD and FEA skills used to design model and analyse parts. We also have a small design and sales team in UK. CompoTech has strong links with Technical Universities in Prague and Pilsen. With access to their facilities in certain projects we have built up a library of data and can test new materials and processes. Analytical data can help with the our own analysis of design. 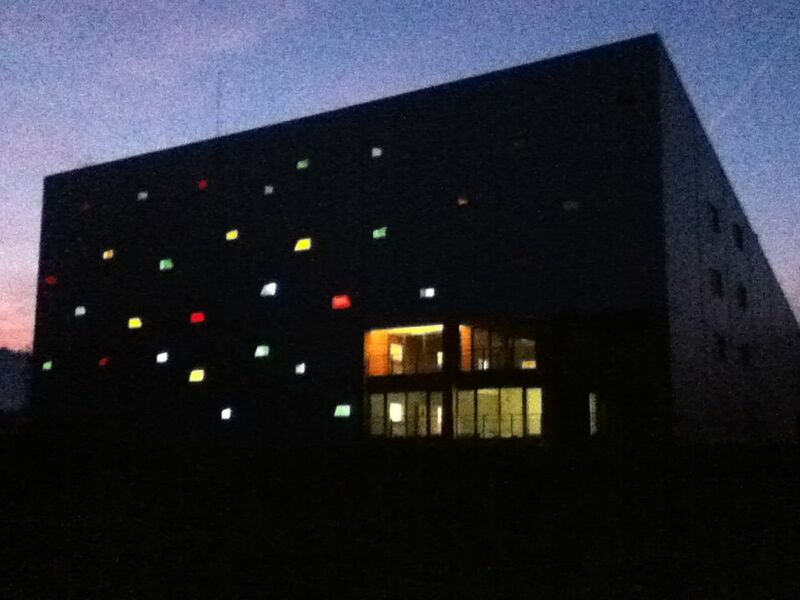 Purpose built factory which houses 4 Automated Filament Laying machines and other technology used in our process. Robot assisted fibre laying machine which specialises in non cylindrical section. CompoTech understands that quality assurance systems are as important as the technology itself. With this in mind, CompoTech has developed a method of monitoring important technological parameters as an integral part of the production process. CompoTech to control the critical technological parameters like fibre tension, impregnation, and speed of winding. More critically the key parameters of the design. i.e the no. of fibres and their direction are controlled by computer and automated for the winding process. These are all noted in during the production process and each part is identifiable and traceable and recorded in our database. 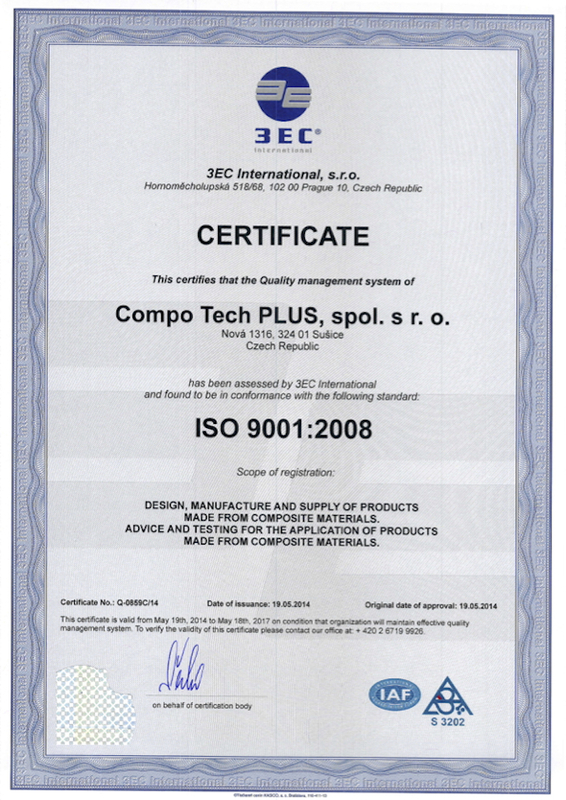 CompoTech was awarded ISO 900: 2008 in May 2014, Certificate No. Q-0859C/14.